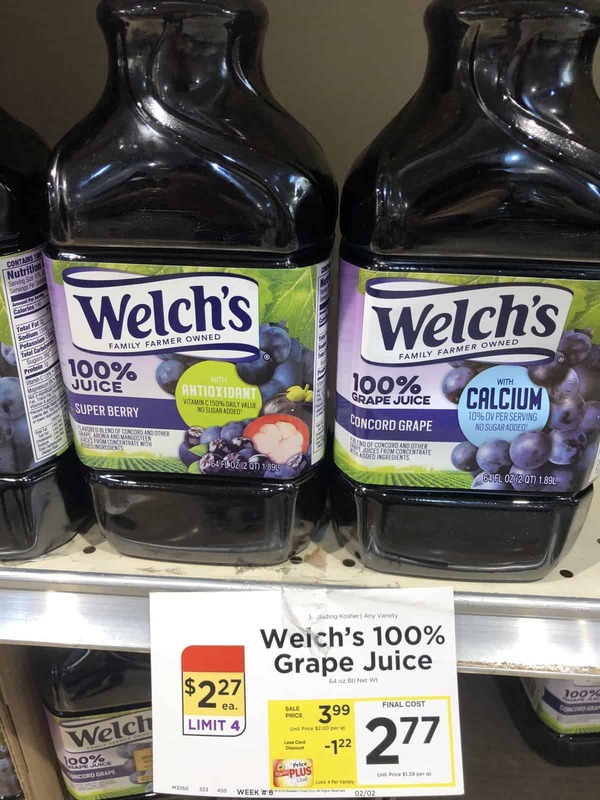 This week thru 2/16, ShopRite has Welch’s 100% Grape Juice 46 oz priced at only $2.77 each. In addition to this, we have a $1/1 Welch’s 100% Juice coupon insert to use on this deal. Stack it with a ShopRite ecoupon that will make your final price ONLY $1.27 each!